Titan X-2 Power Rack Review: Is This the Best Budget Rack There Is? Home > Blog > Equipment > Titan X-2 Power Rack Review: Is This the Best Budget Rack There Is? The Titan X-2 Power Rack is currently the latest in the ever-expanding line of Titan power racks. It came out in mid-October of 2017, which was a few weeks after the X-3 Sumo Base Power Rack was dropped. Before that was the X-3 Flat Foot Power Rack, which I own and love, and it came out in early 2017. The Titan X-2 is unlike the X-3 Sumo Base and X-3 Flat Foot power racks. In fact, it is quite different than ALL other Titan power racks up until now. I think it's actually pretty damn cool rack, and broadens the Titan power rack lineup, making it even more likely that any lifter can find a Titan rack that meets their needs and wants. In this Titan X-2 Power Rack review, I'll tell you what's unique about it and whether or not it's the right choice for you. The frame is VERY strong. Despite the uprights being just 2" x 2" compared to the X-3's 3" x 3" uprights, the frame is significantly more robust. 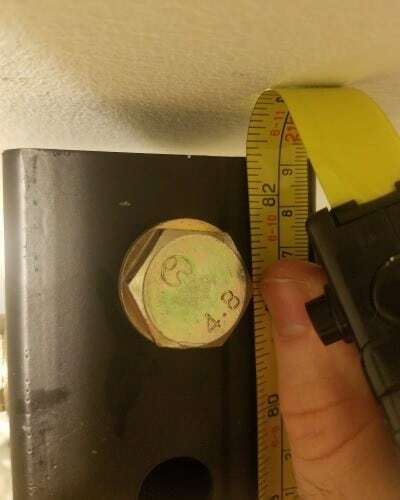 This is due to the steel being 9 gauge thick (5/32" or 0.156"), which is REALLY thick as far as power racks go. Compare it to the X-3, which is a very heavy duty rack: it is 11 gauge (1/8" or 0.125"). And the thickness of the super expensive high-end power racks you'll typically find in any given Gold's Gym or 24 Hour Fitness (e.g. 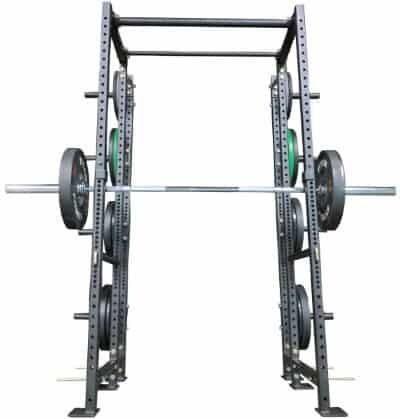 Hammer Strength power racks) is 7 gauge (3/16" or 0.188"). So the X-2 frame gauge falls right in the middle between these two examples. This is by far the highest weight capacity of all the Titan power racks. The power rack with the next highest capacity is the Titan X-3, which is rated for 1500 lbs. So, the X-2 is twice as strong in that respect. 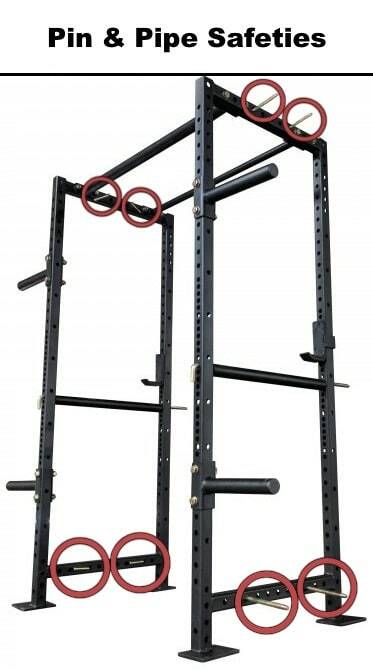 Super-thick 9 gauge steel frame: The 9 gauge steel is significantly thicker than the 11 gauge steel used on all other comparable Titan racks. This added thickness more than compensates for the smaller 2" x 2" tubing that makes up the X-2 frame, compared to the 2" x 3" tubing of the T-3 racks and the 3" x 3" tubing of the X-3 racks. Upper and lower side bracings welded onto the uprights: The X-2 is currently the only Titan power rack with the side bracings welded to the uprights. Having these welded on greatly increase the stability and strength of the rack. This is quite possibly the cheapest (in price) light commercial quality power rack with Westside hole spacing on the market. I looked and couldn't find a comparable rack for less. I'd say this is best rack if you're on a tight budget, assuming you'll be able to bolt it into the floor. The X-2 has a sumo base. If you're not familiar with the concept, it's this: the crossbeams on lower left and right of the rack are raised a few inches above the floor. This gives you enough space to slide you feet underneath if you want to use an extra wide (sumo-style) stance. Compare this to the X-3's flat foot base, which doesn't have these holes on the feet (necessary for structural integrity). There are workarounds for installing lower bands on a flat foot rack, which I will discuss in my upcoming X-3 power rack review. However, the simple fact is that it's simply not as convenient or straight forward as with the a sumo base like the on the X-2 power rack. 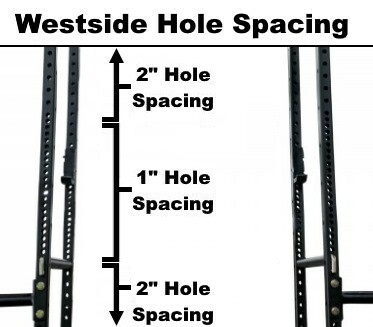 Westside hole spacing is a must-have in my book if I'm going to invest in a power rack for my home gym. If you're unfamiliar with the concept, it refers to 1" hole spacing in the region where you need the greatest precision (i.e. where you'll be setting the j-hooks and/or spotters for bench and rack deadlifts); and 2" hole spacing where you don't need quite as much precision (e.g. for squats). Luckily, the X-2 has this feature, as does every other Titan power rack--except for their lowest end T-2 power rack model. As you should expect, you get a pair of j-hooks standard with the X-2. After all, you need somewhere to rack and unrack the barbell, right? 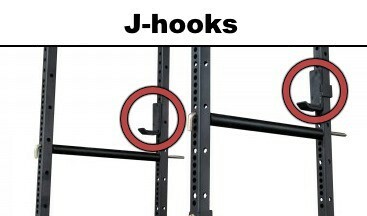 There is a left j-hook and right j-hook: J-hooks for the other racks are both right j-hooks, meaning that the j-hook you put on the left upright wraps around the inside of the upright. Titan improved the design because they got feedback from lifters using a wide grip on squats; they had to be extra careful to not pinch their left pinky finger when racking the weight. I'm a high bar squatter, so this would never have been an issue for me, but it's great to see Titan listening to customer feedback. 2-inch diameter "fat" pull up bar: The thick diameter of the fat pull up bar makes it much more challenging to hold onto. As such, it is a great tool for training grip strength and developing your forearms while you simultaneously train your back with pull ups. 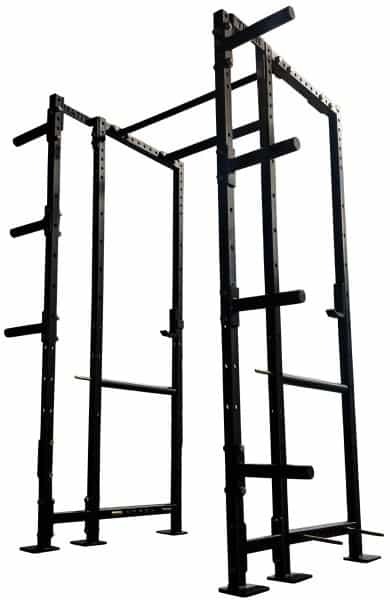 The inclusion of both a fat and a skinny pull up bar is standard on the X-2 as well as all other Titan power racks (except for the T-2, which comes with just one skinny pull up bar). No power rack is complete without a pair of safety spotters. After all, safety is one of the primary functions that power racks serve. It achieves the first objective of high weight capacity/minimal profile by having a 1/2-inch diameter solid steel pin that gives the safety a very strong base. However, a 1/2-inch pin would not be strong enough by itself. Not to mention, if you were to use just the 1/2-inch pin, it would cause lots of damage to the barbell when dropped, since it's so narrow. This is were the pipe comes in. After the pin is inserted into one upright, you then slide it through the pipe and then through the other upright. So, the pipe acts as pin's the sheath, completely covering it in the the area between the two power rack uprights. The pipe adds additional strength to the safety spotter as whole. More than that, it absorbs the impact from the barbell, spreading it more evenly over the entire length of the safety bar. 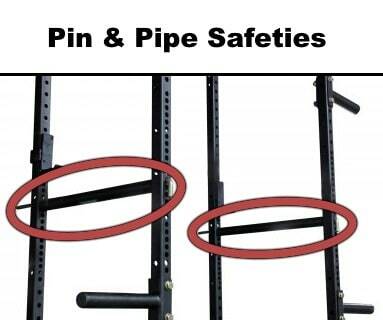 All Titan power racks with 5/8" holes and Westside hole spacing come standard with a pair of this same pin/pipe style of safety spotter bars. ...However, the pin/pipe safeties for a 24-inch deep T-3 power rack will be compatible with the 24-inch deep X-2 power rack. I mention this because Titan currently does not sell X-2 pin/pipe safeties separately on the X-2 accessories page. So if for some reason you wanted a second pair, you could simply buy these 24-inch T-3 pin/pipe safeties. ...Or you could just use the four plate storage pegs that come standard with the Titan X-2 power rack. Storage pegs come standard on other Titan racks like the T-3, T-6 and X-3 Sumo Base power rack. 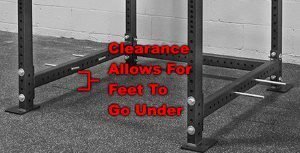 However, you must purchase them separately on the X-3 and X-6 Flat Foot power racks as well as on the T-2 power rack. Also, it's worth noting that the all T-3, T-6, X-3 (flat feet and sumo base) and X-6 power racks have adjustable j-hook style plate holders available. Whereas, the X-2 currently only has these bolt-on plate holders available. It's very likely that Titan will eventually come out with these in the future, as they add accessories incrementally. Additionally, let's say you wanted more than four of these bolt-on X-2 weight holders. Unfortunately, you cannot buy more of the holders as a standalone optional accessory, which you can do for the other racks. In all likelihood, it's just a matter of time until this option is available. So how do these bolt-on X-2 plate holders work? The idea is simple: bolt the pegs onto the sides of the uprights, then slide the weights on and off as needed. Install the storage pegs you're least likely to be moving the barbell. Typically, this will mean having all four storage pegs installed lower on the rack (two per side). Or, having two installed lower on the rack (lower left and lower right) with the other two installed toward the top of the rack (upper left and upper right). You can purchase the optional 10" X-2 rack extension. This extension adds two uprights to the back of the rack, with 10 inches of space between them and rear uprights on the main rack. The extra space guarantees the plates will not encroach on the usable area of the main rack. Not even a little bit. Plus, you get several more weight plate holders when you buy the extension. You can buy a separate weight tree, as suggested earlier. This is a much cheaper option compared to getting the 10" rack extension (by about $100). However, you lose out on the convenience of storing the weights on the rack itself. 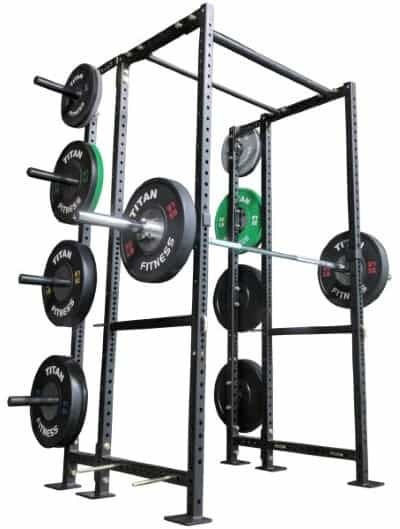 The X-2 power rack comes standard with 4 band pegs. Once you insert the band pegs, you loop one end of a band over the peg and loop the other end around the barbell. Then do the same with another band on the other side of the rack. IMPORTANT: You should be bolting the X-2 to the floor anyway. But this is especially crucial to do if you're doing band exercises. If not, then you can very easily slide, tilt or completely flip the rack over while you're inside doing the exercise. NOT safe! Now that we've covered some of the more "glamorous" features, let's get into the more boring (but very important!) 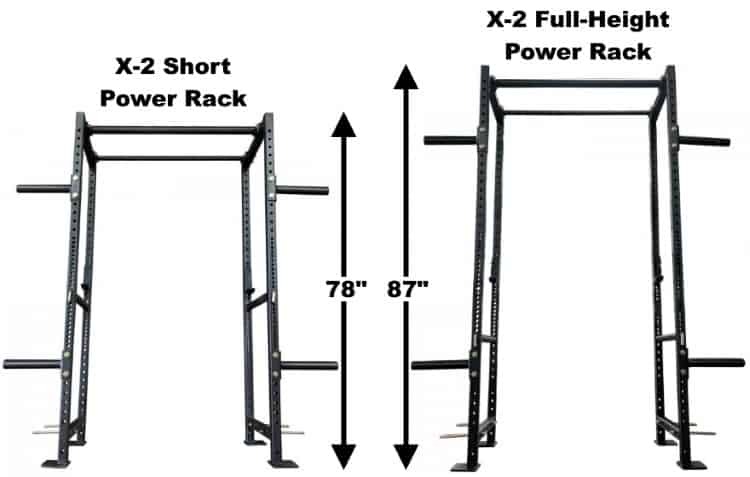 specs regarding the X-2 power rack's dimensions. To summarize from the above, the X-2 racks are the shortest of all the Titan racks. BUT, here's the cool part: The usable height (i.e. internal height) is actually comparable to the other racks. The other racks actually much more unusable height as a result of their construction. Here's how the X-2 is able to maximize usable height while minimizing overall rack height. The X-2 has welded side bracings. This means the top of the side bracings is the top of the rack. There is no need for the uprights to extend any further up. Whereas, the other Titan power racks all have bolt-on side bracings. 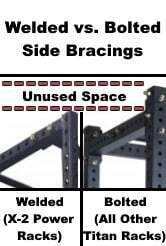 In order to bolt the side bracings to the uprights, the bracings have end plates that extend up and down, so as to line up with holes above and below the side bracing tube to insert the bolt. To accommodate for this design, the uprights need to extend 3-4 inches above the top of the side bracing tube--all unusable space as far as exercises are concerned. The X-2 has a 2" x 2" frame. This includes the upper side bracings. 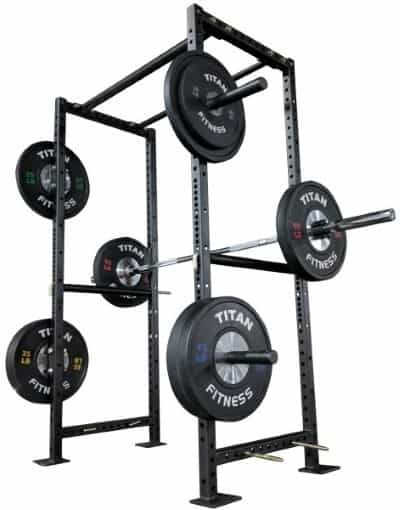 Compare this to the other Titan racks that have either 2" x 3" or 3" x 3" upper side bracings. They all take up 3 inches of vertical space, whereas the X-2's take up just 2 inches. That's an extra inch of space that isn't wasted. Okay, so I've told you that X-2 racks are the shortest of all comparable Titan racks in terms of overall height (though usable internal heights are similar). And I've told you why this is the case. Now, let me explain why can make a HUGE difference for many home gym lifters:.. ...If you're building a home gym in your basement or garage, chances are you won't exactly have the tallest ceilings. Depending on how tall, or rather, how short your ceilings are, even an inch of extra power rack height can make the difference between a rack fitting or not. Or it may barely fit, but you have insufficient head room for pull ups. Your ceilings are kind of in-between short and tall, and you want a tall rack. But because you're in this grey area of ceiling height, the X-3 and T-3 full-height racks may be just slightly too tall for your ceilings. In this case, you should be able to fit the 87" full-height X-2 and maybe even have a little extra space to spare! You have REALLY short ceilings and even the short versions of the X-3 and T-3 racks are too tall. In this case, hopefully the low clearance of the 78" X-2 Short Power Rack is just short enough to fit in. I bought the X-3 Short Flat Foot power rack and I barely had enough clearance for it's 82.375" height--I made it by less than half an inch! If my ceilings were any shorter, then the X-2 Short Power Rack would've been the best option. 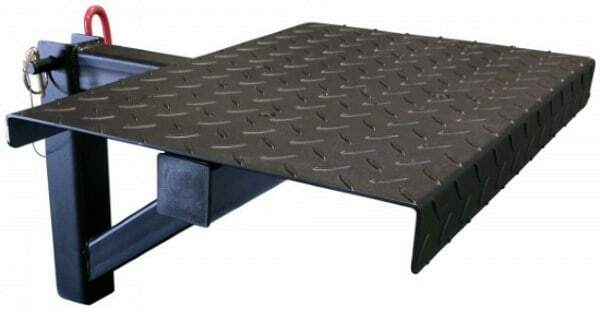 Though, since I am not allowed to drill bolts into the basement floor (I'm renting), I would've had to buy or more likely build a lifting platform and then bolt the rack to the platform. Luckily, though, my ceilings were just tall enough for the short X-3. But if yours aren't, you should definitely consider the X-2. This is the top of my X-3 Short Flat Foot power rack. The rack was less than a 1/2-inch from not fitting in my basement. Close call! If your ceilings are much shorter than mine, then the 78" X-2 Short Power Rack should be a top contender (you may also be able to fit the 80" X-3 Short Sumo Base Rack). I would argue that the X-2 racks' heights vs the heights of the X-3 and T-3 racks is the most impactful difference compared to the other rack dimensions. However, there are other dimensions that differ between the X-2 and the X-3 and T-3. Similarly, some dimensions are the same. Since this is such a new power rack, Titan only has a couple of optional accessories available to expand its capabilities. Right now, this includes the X-2 Mounted Step-Up Platform and the X-2 Dual Pull Up Stabilizer Bar. I'll discuss these in detail later. Compare this to the literally dozens of accessories available for the X-3 and T-3 racks. That said, Titan had said that they will be adding more products to the X-2 line of accessories over time. However, there is no official timeline available or any indication of which specific accessories will be released. Only time will tell. One of the major initial complaints from people who have bought or are considering buying the X-2, is that it only has a 10" rack extension available for purchase separately. Now, don't get me wrong--a short rack extension like this 10" one is perfectly adequate if you goal is simply to store your weights on the rack and have them completely out of the way of the main rack section. However, if you wanted a second section for squatting and doing any other power rack exercises, then 10" is simply not enough. The X-3 and T-3 both have 24" rack extensions available that allow you to do exactly that. They also have 10" extensions for just weight storage. Unfortunately, the X-3 does not have a 24" rack extension. At least, not at this time. And although Titan has stated that they will be coming out with more X-2 accessories in the future, it is not clear if they will release a 24" rack extension. The X-2 needs to be bolted down to ensure it's properly secured. This is the trade-off that comes with any rack that has a sumo base instead of a flat foot base. For lifters such as myself, bolting the rack to the floor is not an option. I rent and my landlord wouldn't allow it. So this is a MAJOR negative. Other lifters may be able to bolt it the floor, yet they might not want. Maybe they're terrible with tools. Maybe they can't get access to the necessarily tools (i.e. a drill). Or maybe they want to be able to easily move the rack around to a different position in the future. Whatever the reason, in these such cases, bolting the rack is a more moderate negative point against X-2, but maybe not a deal breaker. The X-2 Mounted Step-Up Platform is a pretty cool accessory. Currently, the only other Titan rack that has its own version of this accessory is the T-3, and that was a very recent edition. Adjusting the height is very easy, as well. It uses the quick-pin mechanism some of the other Titan accessories use. The process is simple: First, you line up the hole on the step up platform's support bracket with any hole on the power rack's upright. Then, you just insert the pin through. That's it--very quick. This is an excellent accessory to buy if you want to add a lot of variety to your lower body training. The X-2 Dual Pull Up Stabilizer Bar is a handy accessory if you're a big fan of pull ups. It's not just for pull ups, though. 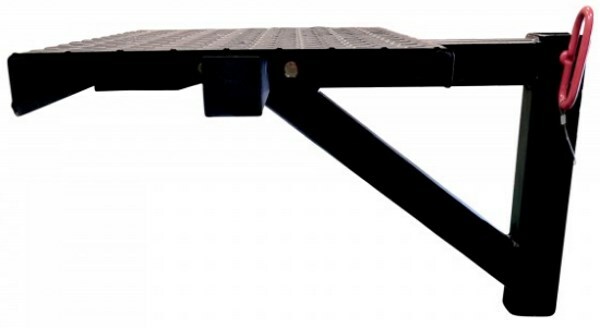 As the name suggests, it also serves improve the stability of the rack by bolstering the connection at the top. However, considering most lifters would consider the rack to be plenty stable on its own, the added stability is really a secondary benefit. The primary benefit is having a dedicated station for pull ups and related accessories. Both are 1.275" in diameter. This is almost exactly the same diameter as the 1.25" "skinny" pull up bar that comes standard with the X-2 power rack. One of the bars is at the same height as the stabilizer bar, which the same height as the top of the rack. It is located about 8 inches away from the stabilizer bar from a horizontal perspective. The other pull up bar is located directly below the stabilizer bar, about 8 inches down, in line with the uprights. This bar's positioning will actually be very useful for some people. Specifically, those whose ceilings are tall enough to accommodate the rack itself, but not tall enough to allow them to do a full range of motion pull up without hitting their head. If you saw the picture I showed earlier in this review of my X-3 Short Flat Foot power rack, you'll know that I have the same problem with my rack. And so, I can see the value in this; it would give me the clearance need to do full range of motion pull ups. 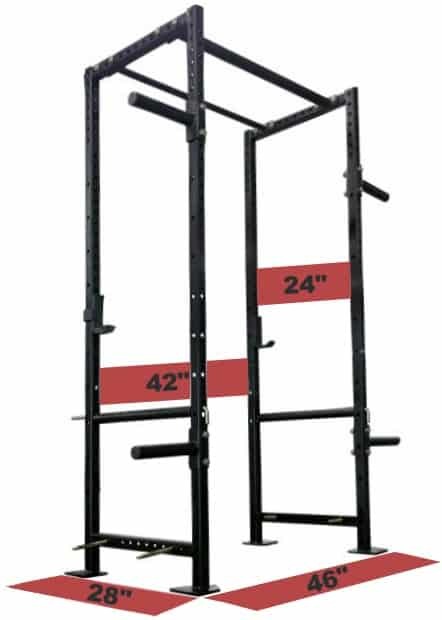 Titan actually makes the same accessory for the X-3, so I'm definitely considering it for the future (in the meantime, I'll probably just move one of the existing pull up bars from the top of the rack to lower on the uprights. Pull up spheres: You can attach the pull up spheres to the stabilizer bar. Since each sphere attaches separately you can easily adjust the distance between them by choosing two holes closer together or further apart. Pull up spheres are an excellent tool for developing your forearms, and especially for building up your grip strength. The X-2 doesn't have any currently listed on the accessories page, how the ones for T-3 will work just fine. They're available in two sizes: 3" spheres and 5" spheres. Band pegs: You can attach band pegs directly to the stabilizer bar. This is the optimal position for band-assisted dips, which is in my opinion the best assisted pull up variation for building your way up to unassisted full range of motion pull ups. I'm sure band pegs on this stabilizer bar would be excellent for other exercises, too--But this one in particular comes to mind. 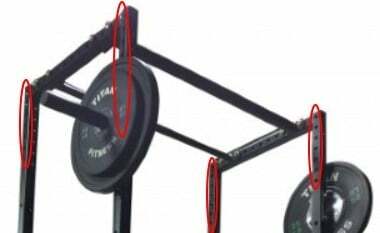 NOTE: The Titan site says that you can add use the rotating pull up handles with these. However, I don't see how that would be feasible, simply because one of the pull up bars is directly below the stabilizer bar. As such, the bar would get in the way of your forearms if you were to install the rotating handles and hold onto them. 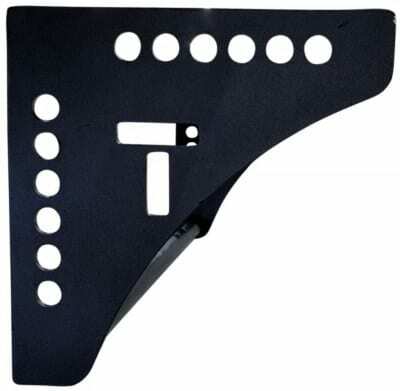 Connection: Side gussets with laser cut Titan logo; gussets have 1-inch holes along its two edges for bolting it to the rack; hardware included. Pull Up Bars: (2) 1.275" diameter pull up bars welded onto gussets, staggered at different heights and horizontal positions; approx. 8" vertical distance and 8" horizontal distance between the bars. The Titan X-2 Extension Kits are made for both the short X-2 power rack and the full-height X-2 power rack. They attach to the rear of the rack and add on two more uprights. This effectively makes a larger power rack with six uprights and separate sections. The X-2 extensions are made of the same 2" x 2" 9 gauge steel that the main rack is made of. They are secured to the rack with side bracings that are bolted on, at the top and the bottom. However, it is worth noting that the top side bracings aren't actually 2" x 2" tubing, but rather a flat (yet thick) metal strip, which has the Titan logo laser cut on it. The bottom side bracings are tubing. As I discussed earlier, the X-2 only has 10-inch rack extensions. That means the second section is just 10 inches deep. 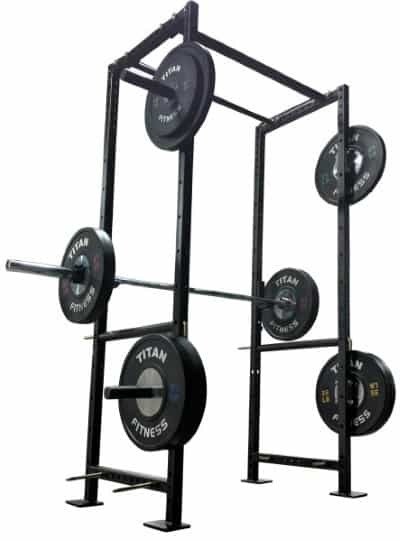 Other Titan racks all have 24-inch extension kits available in addition to the 10-inch kits. Having the option for a 24-inch extension would be awesome, so you could set up a second section that you actually do lifts in--Basically, it'd be like having two power racks in one. But that's just not an option with the X-2. It may be in the future, but Titan hasn't indicated it explicitly. To store all your weight plates on the rack, without them getting in the way of your main rack. Increase the stability of your rack. 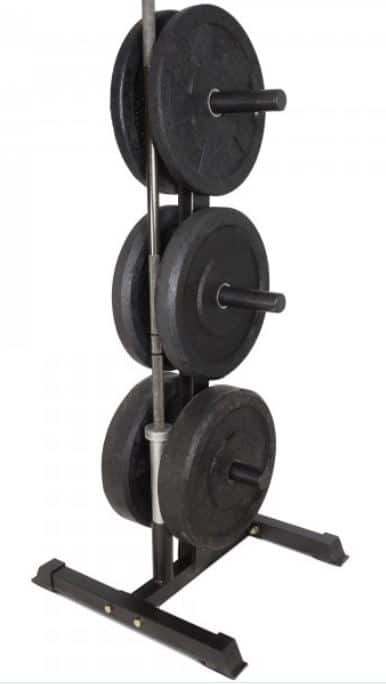 You may actually be able to get away with not bolting down your rack by adding these two extra uprights, especially if you keep a couple hundred pounds of plates on the weight holders--though it's still probably best to bolt it down if you're lifting heavy weights. 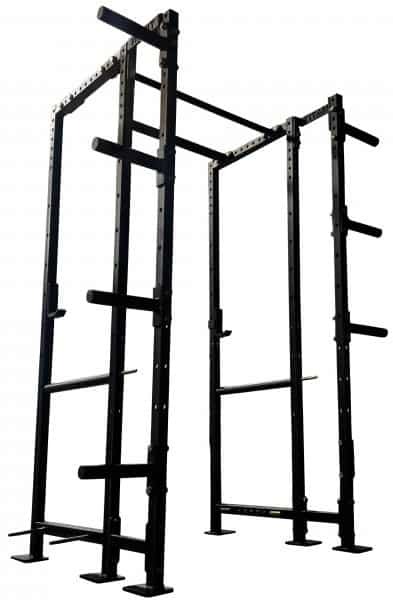 Where to Buy the X-2 Power Rack? 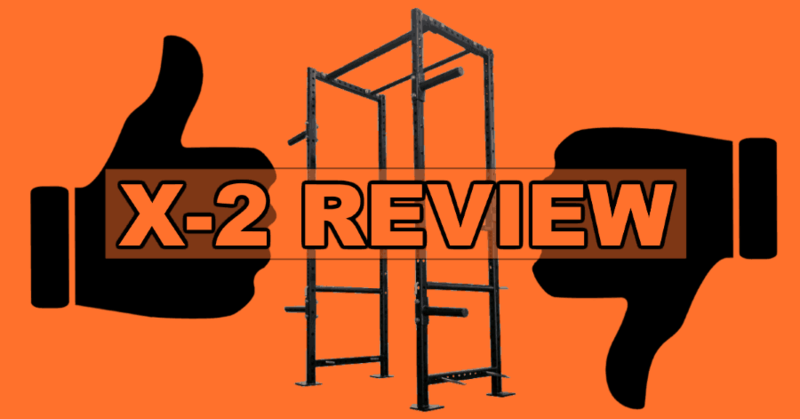 Are you convinced the X-2 is the best power rack for you? If so and you're ready to buy one, then go to the Titan Fitness website for the best price. Note: Prices above may vary in the future. I put the retail price at the date of publishing this review. Do the hole spacings allow the pull up bars to be mounted to the sides of the uprights rather than the top? So the rack fits between ceiling joists with the pull-up bars below. Thanks! The holes on the pull up bars will line up perfectly with the accessory holes on the uprights, since they are spaced 2″ apart, just like they are on the top side bracings (where the pull up bars would normally go). Thanks, Thomas. I always try to go all-out on my reviews. Hopefully Titan starts shipping to Europe soon. Do you know if they have plans to? If not, maybe you could look into an ordering from the US site, but using an international freight forwarding service–I’ve never done this and it may be prohibitively expensive to do it for a power rack, but apparently it’s something a lot of international online shoppers uses. Thanks, Kelly. Happy to help you make a more informed decision — Enjoy your new rack!